Trusted. Inspiring. Empowering. Fresh. These are the words that describe us. By giving now, you will keep these services going as planned. This goal was calculated carefully from what we will have spent on services from Jan to now in 2018! In addition, we are seeking $25,000 to begin our San Antonio pilot operations in 2019. In January 2017, Street Youth Ministry expanded the scope of our services to respond to the immediate closure of a federally funded health and human services center that had exclusively served our younger clients for years. And a year later it is very clearly a big success! Our founder knew we were taking a big risk and that it would take two years to "grow into" our bigger financial shoes. We spent the first 3 months figuring out how to operate well. Then we spent the next 3 months cutting costs. Then we spent the next 12 months optimizing our services with client feedback. The changes they make in their lives speak for us: it works! With slightly fewer clients we have more life-changing goals being set and met by our clients than ever before! The results we're seeing (see our donor information page) are amazing. We've managed to stabilize and grow into our commitment, and now we want to take the next step. We plan to pilot providing services in San Antonio in 2019! We believe that every homeless young adult deserves someone like our staff members in their lives. I urge you to consider donating now. This is a perfect example of compassionate local activism that crosses all traditional lines and brings people together. We must find it in our hearts to fund services like these that are so critical to the young homeless adults and runaways who are in our region. We are working with city leaders, community innovators, and local resources to start a revolution in how homeless young adults are cared for, focusing on what is needed for people to be more resilient. We also work with the HOST Team (an innovative partnership of social work, police, and EMS) weekly, local street outreach partners monthly, and the Coalition to End Youth Homelessness in Austin monthly. Critical needs like food, clothing, toiletries, a safe place for community and mentorship -- all of which we provide now -- are vital to street youth. City of Austin research, just completed, shows that the coaching, connection, self-expression, self-care and more may be doing even more to lift people from the streets -- and we are the innovators in this space! Your support means serving 80 individuals every week. The outcomes are fantastic! They don't grow into chronic older homeless people. They do amazing things as they gain stability and attain entry-level education, employment and housing already provided in our community. 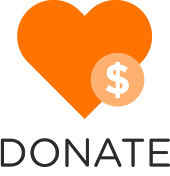 Donate below to support our Drop-in Center services. If you want to help us fund-raise, simply email terry@StreetYouthMinistry.org -- it's a simple process to set up a tax-deductible online form to share with your friends as part of Thanksgiving, Giving Tuesday, Christmas, or a New Year's celebration! We need your support by Dec. 31, online or mailed directly to Street Youth Ministry, 408 W 23rd Street Basement, Austin TX 78705. Thank you! We use your gift where it is needed most. Click here instead to designate a specific purpose or support a specific staff member. In 2017, SYM spent $245,786 on our client programs (71% of total expenditures). That means each focused visit with a client cost $26.78 or $19/hour or $543 per unique client. We spent $19,109 on our volunteer program and in-kind donations (6% of expenditures). That means each hour of volunteerism cost us only $1.28 to coordinate and each $100 of in-kind donated food and clothing cost us $13.50 to receive and distribute. We spent $16,966 on public awareness raising (5%), or $2.84 per subscriber. We spent $7,925 on our internship future leaders program (2%) or $15.79 per supervised hour. Fundraising (4%) cost us 5.21 per $100 raised and our administration cost was a low 5%. Your designated gift for a missionary or for a specific project goes 100% to that purpose, with no fees or overhead reserved.